The science of eating is complex and evolving, but this much is now clear: a high-protein diet is the way to go. Here’s why. Every few months some new fancy, faddish diet pops up on TV shows, magazines, and book bestseller lists that claims to be everything your hungry little heart can desire. You know the pitch: easy weight loss, sky-high energy levels, perfect health, superhuman longevity, and on and on. Depending on whom you listen to, it all can get quite confusing. Some “fad diets” get more right than wrong and will be around for a while (Paleo and Mediterranean dieting, for example), while others just can’t live up to the hype (the current low-carb craze), and others still are more harmful than helpful and, hopefully, will fade away into obscurity (the HCG diet and other forms of starvation dieting come to mind). Well, in this article I want to look past the headlines and “get back to basics” by looking at the most important component of any diet: protein intake. Get this right, and you can reap incredible rewards in both overall health and body composition. Get it wrong and you’ll struggle to get the body you desire no matter what you do in the gym. What is protein and why is it so important? You build more muscle and get stronger on a high-protein diet. You lose more fat and less muscle on a high-protein diet. You feel fuller on a high-protein diet. You preserve more muscle as you age on a high-protein diet. What constitutes a high-protein diet, exactly? Are there health risks associated with a high-protein diet? 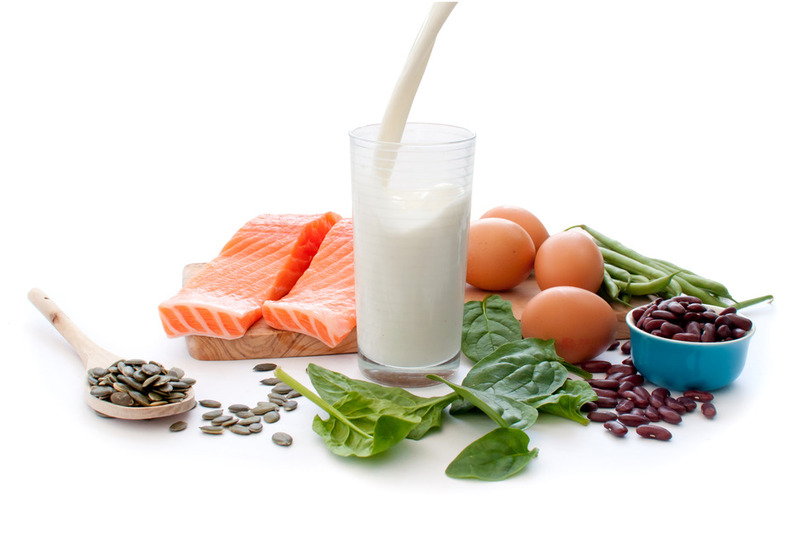 Proteins are the primary building blocks of the body. They’re used to build tissues like muscle, tendon, organ, and skin, as well as many other molecules vital to life such as hormones, enzymes, and various brain chemicals. Proteins are comprised of smaller molecules known as amino acids, which are linked together in a long chain that can be molded into different shapes. Our body can produce twelve of the amino acids needed to form protein molecules, but it must get nine others from protein in the food we eat. The former are known as nonessential amino acids and the latter essential amino acids. How much protein you eat every day is the primary factor that determines whether your body is getting enough essential amino acids or not, but the quality of the protein you eat also matters. Animal-based proteins like meat, fish, eggs, and dairy are particularly popular among athletes because they contain high but balanced amounts of essential amino acids, but certain plant-based proteins like rice and pea protein are high-quality as well. Generally speaking, your protein needs are going to be best met by animal sources, but with a bit of creative meal planning, vegetarians and vegans can get enough amino-acid-rich protein to build plenty of muscle and strength. Muscle tissue is primarily composed of protein, so it shouldn’t be a surprise that a high-protein diet helps you build it faster. And with more muscle comes more strength. You see, when you train your muscles, you’re simultaneously damaging and breaking down muscle tissue and beginning a process known as “protein synthesis” whereby the body creates (synthesizes) new muscle proteins to replace and add to the damaged tissues. This is why exercise, and resistance training in particular, increases the protein needs of the body, and why a high-protein diet helps you build more muscle and strength. When you want to get leaner, the goal isn’t just “weight loss”– it’s fat loss. That is, the goal is to lose fat and not muscle, and research clearly shows that a high-protein diet is better for both losing fat faster and preserving muscle. You simply lose more fat and less muscle on a high-protein diet than a low-protein one. Furthermore, research shows that a high-protein diet is easier to stick to when in a calorie deficit because it results in less mood disturbance, stress, fatigue, and diet dissatisfaction than lower-protein diets, and improved dietary compliance means better fat loss results in the end. One of the biggest dietary obstacles people run into is plain old hunger, and especially when restricting calories for fat loss. It can be incredibly hard to regulate food intake when your stomach feels like a grumbling Sarlacc Pit all day, and a high-protein diet can help. Specifically, research shows that increasing protein intake decreases appetite through several mechanisms including favorably altering hormones related to hunger and fullness. This satiating effect not only applies to a high-protein diet in general but to individual meals as well: research shows that high-protein meals are more satiating than high-fat meals, which means you feel fuller longer, making you less likely to overeat. The degenerative loss of muscle associated with aging (known as sarcopenia) is debilitative and, ultimately, life threatening. Research shows that the more muscle you lose as you age, the more likely you are to die of various causes related to injury and disease. Elderly people can’t use protein as efficiently as younger folk and thus need significantly more protein. This is why a high-protein diet is an effective way to help mitigate or even prevent the effects of sarcopenia, and especially when combined with resistance training (yes, even the elderly can build muscle!). As an added bonus, a high-protein diet also reduces the risk of osteoporosis, another serious health risk associated with aging. Advice on how much protein to eat is all over the place, and scientific research is often used to support all kinds of contradictory positions. Some people claim the body needs very little protein regardless of activity level while others claim that protein should always comprise 40 to 50% of daily calories to optimize body composition and athletic performance. The Institute of Medicine says that protein should comprise 10 to 35% of our daily calories, but that’s quite a large range. How do we decide where our intake should fall in it? And are there any benefits to even higher intakes? To find some answers, let’s review some of the studies available on the protein needs of athletes in particular. According to research conducted by scientists at McMaster University, a protein intake of 1.3 – 1.8 grams per kilogram of body weight (.6 – .8 grams per pound of body weight) is adequate for stimulating maximal protein synthesis. They did note, however, that more protein may be needed when you’re training frequently and intensely and when you’re restricting calories for fat loss. A study conducted by researchers at The University of Western Ontario concluded the same: 1.6 – 1.8 grams per kilogram of body weight might be enough for athletes, but higher intakes may also be warranted depending on a wide variety of factors including energy intake, carbohydrate availability, exercise intensity, duration and type, dietary protein quality, training history, gender, age, timing of nutrient intake, and more. There’s also evidence that the longer you lift weights, the less protein your body needs to retain and build muscle. If you’re relatively lean and not in a calorie deficit, 0.8 to 1 gram of protein per pound of body weight is enough to reap the many benefits of a high-protein diet. This also jives with the “gym lore” that bodybuilders have sworn by for decades: 1 gram of protein per pound of body weight. If you’re relatively lean and in a calorie deficit, 1 to 1.2 grams of protein per pound of body weight is probably best. Research shows that restricting calories increases the protein needs of resistance-trained athletes, and especially as leanness increases (the leaner you are, the more protein your body will need to preserve muscle while in a calorie deficit). If you’re quite overweight (20% body fat and above in men and 30% and above in women), you can eat 1 gram of protein per pound of lean mass while in a calorie deficit and do well (check out my article on measuring your body fat percentage to learn more about this). My personal experience agrees with the above as well. I’ve found that I don’t need more than 1 gram of protein per pound of bodyweight when “bulking” and if I drop below this number when “cutting,” I lose strength faster (which indicates muscle loss). Research shows that people with pre-existing kidney damage or disfunction should restrict protein intake, but a high-protein diet has never been shown to cause kidney damage. If you want to learn more about this controversial issue, check out Dr. Nadolsky’s in-depth analysis of the research used to link a high-protein diet to cancer. If you’re physically active, a high-protein diet is, without question, going to help you improve your health, body composition, and performance (this applies to endurance athletes as well). What’s your take on a high-protein diet? Have anything else to share? Let me know in the comments below!